At the time of writing, the iMiEV has yet to be subjected to the Euro NCAP crash test but it scored five stars out of a maximum six in the Japanese equivalent. That would suggest that it's a reasonable place to be when everything goes pear shaped. Mitsubishi's 150,000km (93,750 mile) battery warranty and its claim that after ten years of use it will still be capable to holding 80 per cent of its original maximum charge should also help allay the fears of anyone worried about power pack longevity. 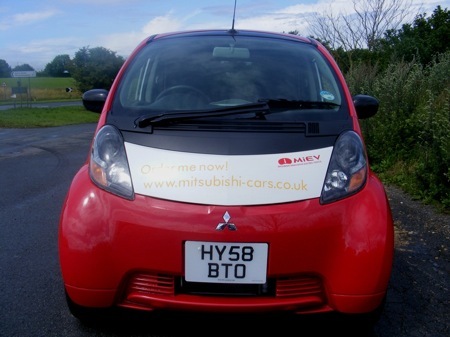 Mitsubishi has yet to set a firm price for the iMiEV, but depending on the variations of the Yen/Sterling exchange rate you'll be looking at something between £20,000 and £25,000. That's a lot for a small car. Then again, new technology has always demanded a premium. Mobile phones, laptops - you name it and the first ones cost an arm and a leg. And if you use it to drive into London on a daily basis you'll save a fair few quid in congestion charge and parking fees. 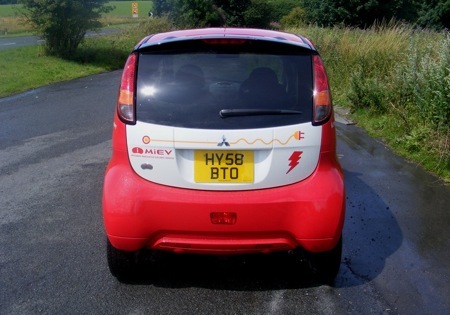 If the iMiEV is the future of motoring then it's brighter than we expected. Yes, the range is meagre if you have a heavy right foot and, yes, the initial cost is high. But, on the plus side, it's a genuinely enjoyable drive, provides practical accommodation and luggage capacity – if not at the same time - and can easily be lived with on a day-to-day basis provided you have a drive or garage in which charge it up at night. A genuinely decent and fun-to-drive electric runabout that will do you all you ask of it as long as you can live with the range limitations.